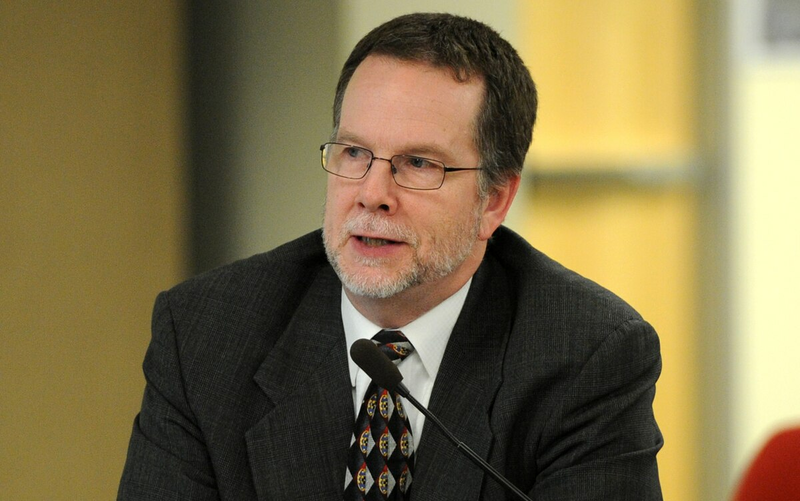 A former chief finance officer for the Anchorage School District has been selected from of a field of 32 candidates to become the newest member of the Anchorage School Board. Mark Foster takes the spot on the seven-member school board vacated by Bettye Davis, who resigned last month amid health problems. The decision was announced Sunday morning in a statement by school board president Starr Marsett. Marsett said that the board interviewed candidates for nine hours in an an open meeting Saturday. In the end, the board voted for Foster 4-2 over Margo Bellamy, a former head of the district's Equal Employment Office. Board members chose Foster because of his knowledge of school district budgets, Marsett said. Foster served as the district's top finance official from 2013-2016. "He has an insight into the budget that the board probably doesn't have," Marsett said. Marsett said board members also liked that Foster has said he won't run again for the seat in April, making his appointment temporary. He will be sworn in at Monday's school board meeting.